Steinhaus,S., Stark,Y., Bruns,S., Haile,Y., Scheper,T., Grothe,C., Behrens,P. (2010) Polysialic acid immobilized on silanized glass surfaces: a test case for its use as a biomaterial for nerve regeneration. J Mater Sci: Mater Med 21, 1371-1378. Berski,S., van Bergeijk,J., Schwarzer,D., Stark,Y., Kasper,C., Scheper,T., Grothe,C., Gerardy-Schahn,R., Kirschning,A., Dräger,G. (2008) Synthesis and biological evaluation of a polysialic acid-based hydrogel as enzymatically degradable scaffold material for tissue engineering. Biomacromolecules, 9(9), 2353-2359. Haastert, K., Schaper-Rinkel, J., Haile, Y., Rode, B., Gerardy-Schahn, R., Scheper, T., Grothe, C. (2008) In vivo evaluation of polysialic acid (polySia) as part of bioengineered peripheral nerve transplants. 327.14/C23. 2008 Neuroscience Meeting Planner. Washington, DC: Society for Neuroscience, 2008. Online. Stark,Y., Bruns,S., Stahl,F., Kasper,C., Wesemann,M., Grothe,C., Scheper,T. (2008). 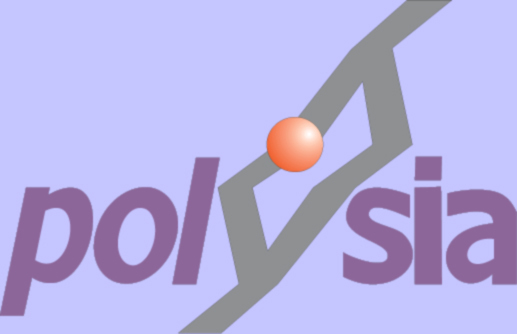 A study on polysialic acid as a biomaterial for cell culture applications. Journal of Biomedical Materials Research Part A, 85A(1), 1-13. Haastert, K., Schaper-Rinkel, J.,Haile, Y., Rode, B., Gerardy-Schahn, R., Scheper T., Grothe, C. (2008) In vivo evaluation of polysialic acid (polysia) as part of bioengineered peripheral nerve transplants. Oral Presenation. Annual Workshop 2008 German Anatomical Society. Haile, Y., Berski, S., Drager, G., Nobre, A., Stummeyer, K., Gerardy-Schahn, R. and Grothe, C. (2008) The effect of modified polysialic acid based hydrogels on the adhesion and viability of primary neurons and glial cells. Biomaterials, 29, 1880-1891. Bruns,S., Stark,Y., Wieland,M., Stahl,F., Kasper,C., Scheper,T. (2007). Fast and efficient screening system for new biomaterials in tissue engineering: a model for peripheral nerve regeneration. J Biomed Mater Res A, 81(3), 736-747. Bruns,S., Stark,Y., Roker,S., Wieland,M., Drager,G., Kirschning,A., Stahl,F., Kasper,C., Scheper,T. (2007). Collagen biomaterial doped with colominic acid for cell culture applications with regard to peripheral nerve repair. J Biotechnol 131(3), 335-345. Haile, Y., Haastert, K., Cesnulevicius, K., Stummeyer, K., Timmer, M., Berski, S., Drager, G., Gerardy-Schahn, R. and Grothe, C. (2007) Culturing of glial and neuronal cells on polysialic acid. Biomaterials, 28, 1163-1173.